I’ve just about finished the edit of The Perihelix and will send it to my editor tomorrow. So if you asked for a beta copy to comment on, that will be sent to you within the next day or so, too, if you haven’t already received it. If you forgot to put yourself forward for this honour (!) then complete the form here to send to me and I’ll be in touch by email. 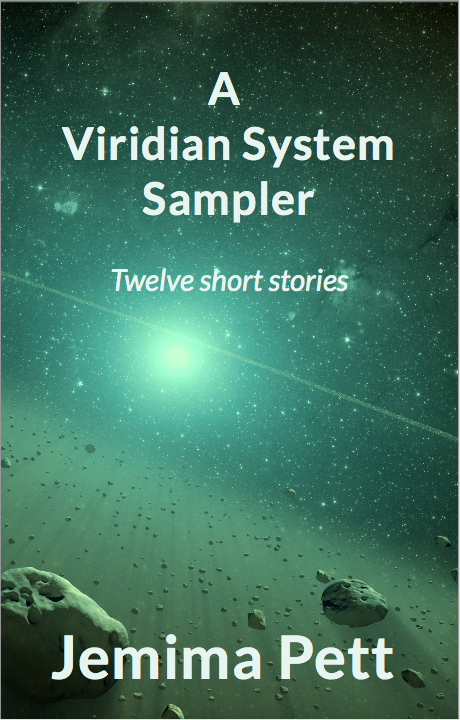 I threatened you with a free sample of Viridian stories – well, you’ve already seen them, but I’ve collected together eight stories that are part of the Viridian System (including Paradisio, Ghostgum Creek and Hell Hath No Fury, which kind of derive from Paradisio). The plan is to send them out as an ebook, free, via Smashwords, as a teaser for The Perihelix. I am also adding three other scifi short stories – Pilgrimage and Homing Instinct, which are two sides of one story, the Last Ice-cream – and also Traveller’s Return, which is more of a ghost story (but then, so is Ghostgum Creek). Do you think that would put readers off the Perihelix, having other work in the sampler? Should I stick to Viridian-connected stories, or is more better? The twelve stories add up to about 17,000 words, which is a nice sort of sampler, novella-sized, which is why I included the extras. I already have a lot of short stories which belong after the Perihelix. With a little time to spare at the end of camp, I wrote a few chapters to start the next book in the series! Your thoughts are welcome, as always! Brilliant! And you have been so productive this summer! I am in awe, since I’ve barely managed to keep up my blog and written almost nothing. I love the sampler. But I’m not sure about adding the extras. It might dilute the interest. Since its a free sampler, maybe you don’t have to worry about length? Hope someone with more experience and knowledge can chime in here!